Dungeons & Dragons first supplement, Greyhawk, raised the game’s highest level spells from 6th level to 9th. None of Gary Gygax’s players had reached the level required to cast the new spells. Greyhawk’s high-level spells served non-player characters and indulged Gary’s love of systematic cataloging—the same inclination that drove him to create a plane of existence for every alignment. At level 9, Gary stashed outrageous effects from fantasy. Shape Change duplicated a scene from the movie Sword in the Stone. Wish, Time Stop, and Gate came from popular imagination. Astral Spell came from the Doctor Strange comic. Most of the level 9 spells boasted game-breaking effects. Shape Change let casters gain the shape and abilities of any creature at will, over a duration of hours. Gate could summon a god. Wish seemed to allow anything. Astral Spell helped in ways I still fail to understand, but I’m sure are awesome. To Gary, these spells stood above the players’ reach, reserved for scrolls, liches, and legends. Greyhawk’s description of Meteor Swarm interjects “(Jim! )” whenever it mentions the spell’s fireballs. Before Meteor Swarm reached print, Greyhawk campaigner Jim Ward’s PC acquired the spell on scrolls. He argued that Meteor Swarm should create flying rocks and overcome fire immunity. His dungeon master, Greyhawk co-author Rob Kuntz, put his final ruling in print. Years later, Jim prevailed. The spell now produces fiery rocks that deal both fire and bludgeoning damage. Gamers played D&D with more passion—and less disciple—than Gary ever expected. Player characters raced past level 17 and gained those once-legendary spells. Now the spells marked either (a) where D&D stopped playing like D&D or (b) where players rolled new characters. All of Gary’s players retired their characters at levels in the mid-teens. 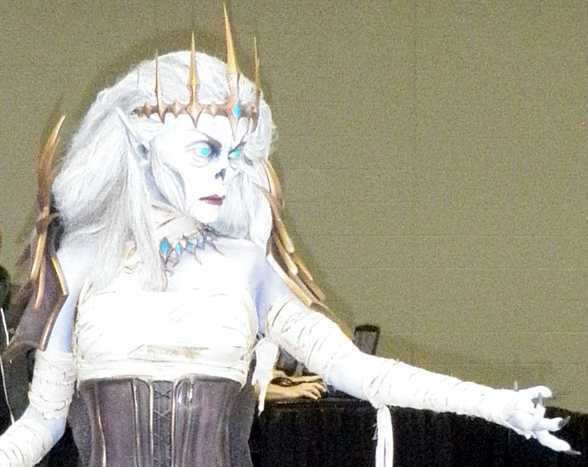 When heroes oppose the lich queen, what does she wish for? By the time Gary designed Advanced Dungeons & Dragons, he knew that 17-plus-level PCs bedeviled DMs everywhere, but he kept spells like Wish and Shape Change. Gary aimed to keep the elements of his original game. Instead of eliminating troublesome spells, he imposed limits. Shape Change now consumed a 5,000 g.p. jade circlet. The description for Wish now warned, “The discretionary power of the referee is necessary in order to maintain game balance.” I wish I had known that before my players wished for level-infinity PCs. Astral Spell added some baggage about silver cords and continued to discourage casting through obfuscation. Third edition coped with the legendary spells by adding limitations. Wish stopped granting Wishes and now offered a page-long menu of magical boons. Shapechange lost a space and added hit die limits. Deities and unique beings could now ignore the Gate spell’s summons. 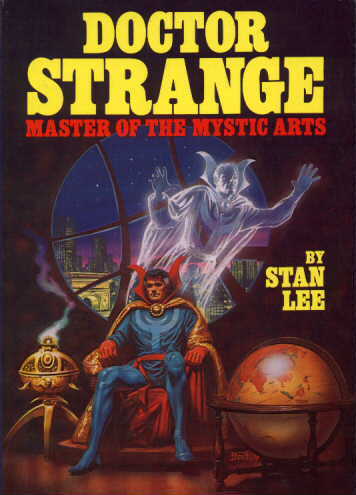 As for Astral Spell, I must have missed the issue of Doctor Strange that explained its value. Fifth edition continues the strategy of containing overpowered spells with long, limiting descriptions. Wish once appeared in 4 lines, now it spans a half page. Shapechange grows almost as much. Why do these spells remain in the game, even though Gary Gygax never expected players to enjoy free access to them? In part, I blame tradition. Fourth edition eliminated Wish and its kin, but players rebelled against a game that cut so many familiar ingredients. Designers struggle to capture a sense of wonder appropriate for the game’s most powerful spells while keeping spells playable. Meteor Swarm never aggravated any DMs, but a cluster of fireballs just feels like more of something from level 3. Of Gary’s legendary spells, Time Stop ranks as the best. It combines an epic feel with a manageable effect. In some future revision of the game, I hope to see Wish and Shapechange retired to legendary status and replaced by more spells in the mold of Time Stop. This entry was posted in Role-playing game history and tagged Blackmoor, Greyhawk, James Ward, Rob Kuntz, spells, Tim Kask. Bookmark the permalink. Thanks for another fascinating article, David. I wonder where you get all this insight into the history of the game…? It’s great! This piece is particularly relevant to me right now, as I am working on a design for a “scaled down” RPG–something of a hybrid between a full-fledged RPG and an “adventure module” game like Hero Quest or something like that. One of the goals is to cut away all the fat that has become (unfortunately) a hallmark of games like D&D, and pare the game down to a very streamlined system that still pushes all those same buttons for the players. I think I’m somewhat glad to know that even Gary Gygax thinks D&D is ridiculously bloated in places. let’s not forget the lower level game-breakers, like teleporting or fly spells that allow players to skip adventures or even nuke monsters from orbit. 5e having players choose from their own list rather than finding spells along the way means GMs have to stop things like this in a clumsy fashion rather than making it part of the setting design. Eh…5e has pretty well neutered most ninth level spells. Some are just (sometimes slightly) juiced up versions of lower level spells (True Resurrection, Mass Heal, True Polymorph, Weird). Others are so loaded up with restrictions and drawbacks that they are not always a great idea to cast (Timestop, Wish, Gate, etc.). Still others are more flavor than anything (Astral Projection, Imprisonment). That leaves Foresight (very useful), Meteor Swarm (dramatic, but still simple damage), Shapechange (still limited by type, hit die, “must have seen before”), Power Word Kill (must be sure target has less than 100 hp), and Prismatic Wall (10 minute duration seems somewhat harsh and arbitrary). Granted, Timestop is largely limited by the Concentration mechanic, you can no longer load up on buffs/Delayed Blast Fireballs or other powerful effects, unless you want to lace the area with Grease spells. Amen. The Wish spell has no business in the modern version of the game.